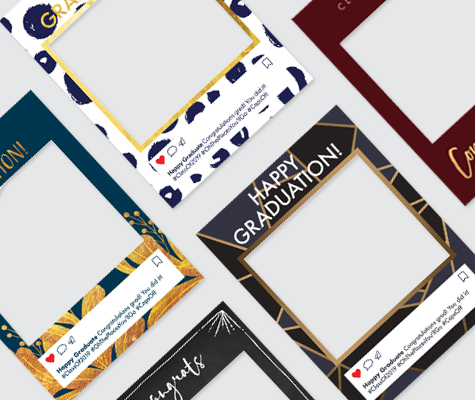 Snap the perfect selfie with a social media frame from the Graduation Social Media Frame collection. These frames make a great photo prop and are a hit at parties! Commemorate your graduation in a fun way with a variety of designs from this collection. Mix and match with our other Graduation Design products to create a cohesive look for your party! Graduation Social Media Frames are printed on durable corrugated plastic and are ready to go right out of the box. Social Media frames are 18”x24”, with an approximate 13”x13” inch opening, the perfect size to get your selfie on. Choose from a variety of stylish and unique designs to suit your event theme and needs.